Ringo Starr and Barry Gibb have been awarded knighthoods in the New Year Honours. The Beatles and Bee Gees stars are joined on the list by former Liberal Democrat leader Nick Clegg, who will also be knighted. In a statement, Starr - whose real name is Richard Starkey - said: "It's great! It's an honour and a pleasure to be considered and acknowledged for my music and my charity work, both of which I love. Peace and love. Ringo." 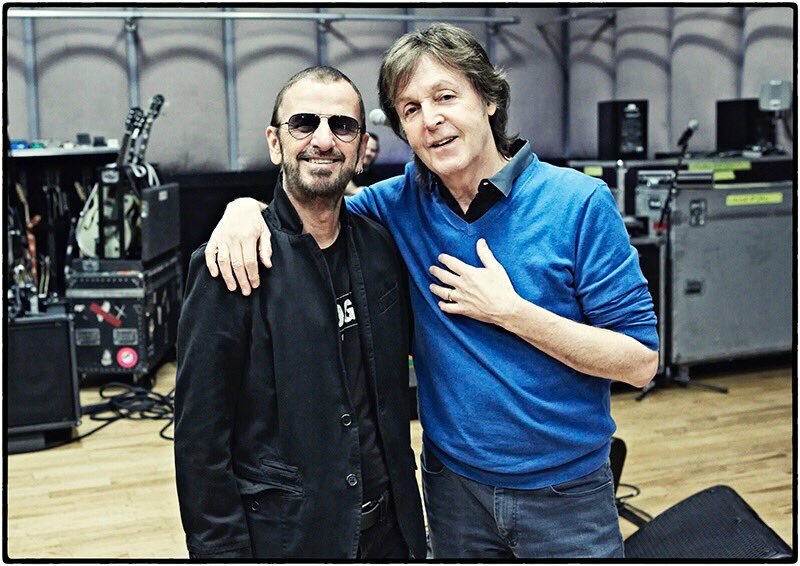 His former bandmate, Sir Paul McCartney, tweeted his congratulations - calling Starr the "best drummer, best pal". Gibb's award is in honour of his services to music and charity, with the singer dedicating his knighthood to his late brothers, who were also part of the Bee Gees. Another member of the entertainment industry to merit an honour is Strictly Come Dancing judge Darcy Bussell, a former principle dancer with the Royal Ballet, who said she was "truly humbled" to become a dame for services to dance. "I am truly humbled to receive this honour. I gratefully accept it on behalf of all the dance organisations that I am so fortunate to be part of," she said. "Dance is such a beautiful art form, it is inspiring and provides joy, social cohesion and wellbeing." Author Michael Morpurgo, who wrote War Horse, is awarded a knighthood for his services to literature and charity. The writer dedicated the award to the character of Joey from his most notable work. "There was never a knight that has owed so much to his horse as this one - and in fact, we will give the knighthood to Joey and call him Sir Joey," Morpurgo said. Labour MP Mark Hendrick, 59, and Commons Deputy Speaker Lindsay Hoyle, 60, are also knighted. Grime artist Richard Cowie, better known as Wiley, will receive an MBE for his services to music, while Grace Ladoja, who manages Skepta, has also received the same award. Wiley said: "I'm honoured to be receiving an MBE. Jilly Cooper's services to literature and charity are acknowledged as she has her OBE upgraded to a CBE, a fate also enjoyed by actor Hugh Laurie. Also among the 1,123 people honoured is 80s star and self-described "maverick" Marc Almond, who receives an OBE for services to arts and culture. Eamonn Holmes, 58, who is also awarded an OBE for services to broadcasting, the TV presenter said it was a "wonderful accolade". Celebrity chef Rick Stein who has been awarded a CBE for services to the economy. Heather Knight, captain of the World Cup-winning England team is awarded an OBE, along with head coach Mark Robinson. Clare Connor, director of women's cricket, is upgraded to a CBE. The 2018 list is 6% smaller than last year, when 1,197 honours were awarded, and the smallest since 2013.